In recent years regenerative biology has reached to greater heights due to its therapeutic potential in treating degenerative diseases; as they are not curable by modern medicine. With the advent of research in stem cells and developmental biology the regenerative potential of adult resident stem cells is becoming clearer. The long term objective of regenerative medicine or cell therapy is to treat patients with their own stem cells. These stem cells could be derived from the diseased organs such as skin, liver, pancreas etc. or from reservoirs of multipotent stem cells such as bone marrow or cord blood. Manipulating the ability of tissue resident stem cells as well as from multipotent reservoirs such as bone marrow, umbilical cord and cord blood to give rise to endocrine cells may open new avenues in the treatment of diabetes. A better understanding of stem cell biology would almost certainly allow for the establishment of efficient and reliable cell transplantation experimental programs in the clinic. We show here that multipotent mesenchymal stem cells can be isolated from various sources such as the bone marrow, placenta, umbilical cord. Upon stimulation with specific growth factors they differentiate into islet like clusters (ILCs). When ILCs obtained from the above mentioned sources were transplanted in experimental diabetic mice, restoration of normoglycemia was observed within three weeks of transplantation with concomitant increase in the body weight. These euglycemic mice exhibited normal glucose tolerance test indicating normal utilization of glucose. Allthough the MSCs isolated from all the sources had the same characteristics; they showed significant differences in their islet differentiation potential. ILCs isolated for the human bone marrow did not show any pancreatic hormones in vitro, but upon transplantation they matured into insulin and somatostatin producing hormones. 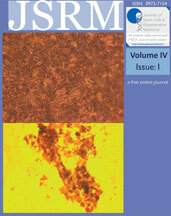 Placental MSCs as well as ILCs showed insulin trascripts indicating their readiness towards islet lineage. These studies point towards futuristic therapeutic approach of auto-transplantation of bone marrow for diabetes. Our studies demonstrate that human bone marrow, umbilical cord and placenta have the potential to differentiate into islets. These alternative sources of stem cells for islet neogenesis will form the basis for generating large number of islets required for transplantation for diabetes reversal.